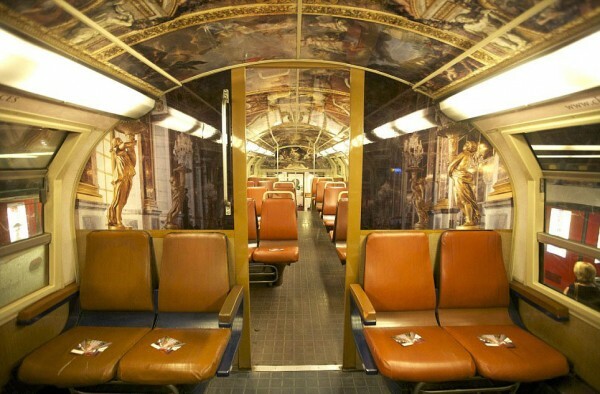 Who needs to visit the Palace of Versailles, when you can also RIDE in it? 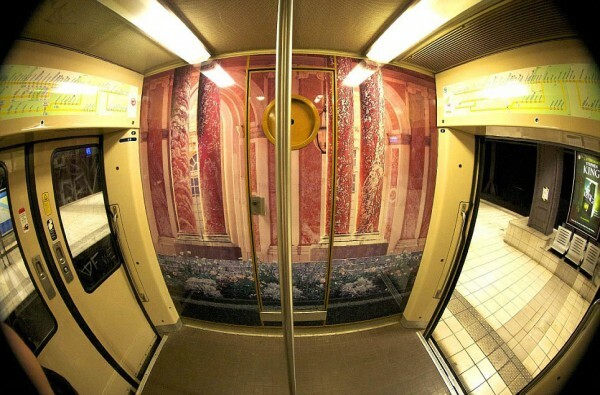 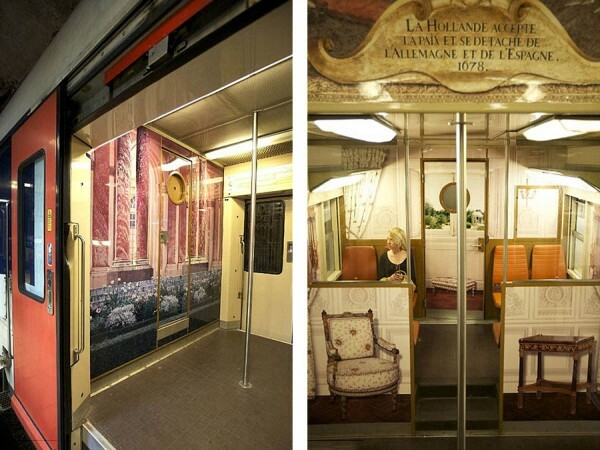 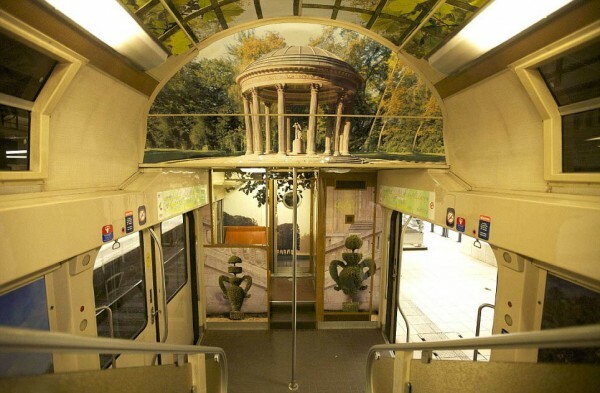 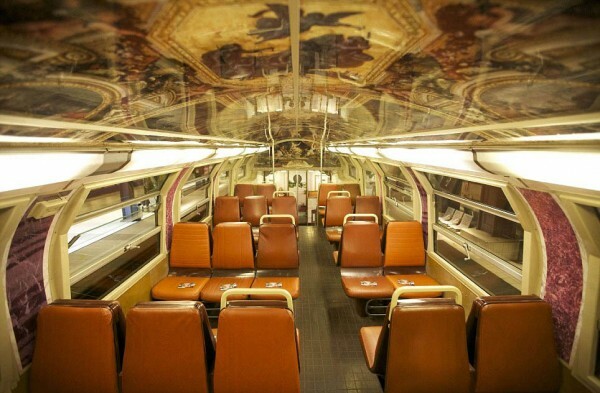 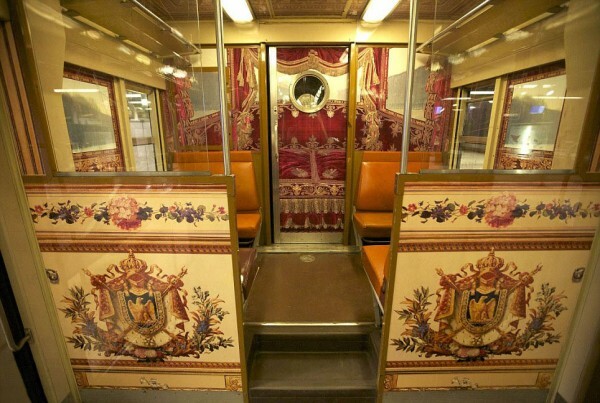 The complete interior of a train on Paris’s main transit system, the RER, has been dramatically transformed into a replica of the grande Palace of Versailles, which once had been the centre of political power in France. 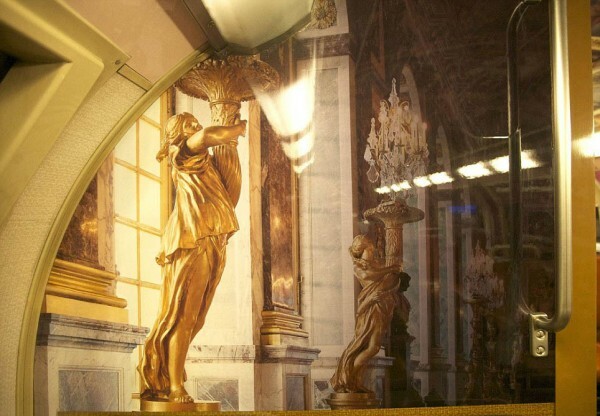 The isles of the train are lined with golden sculptures, and the ceilings feature beautiful, intricate paintings. 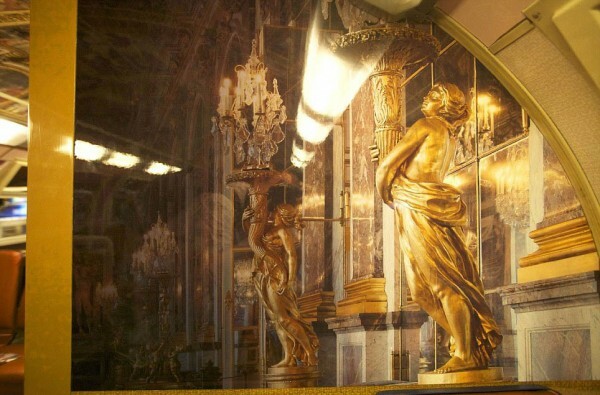 The interior, which was funded by the Palace itself, mimics the Hall of Mirrors, Marie Antoinette’s estate, and the Gallery of Battles. 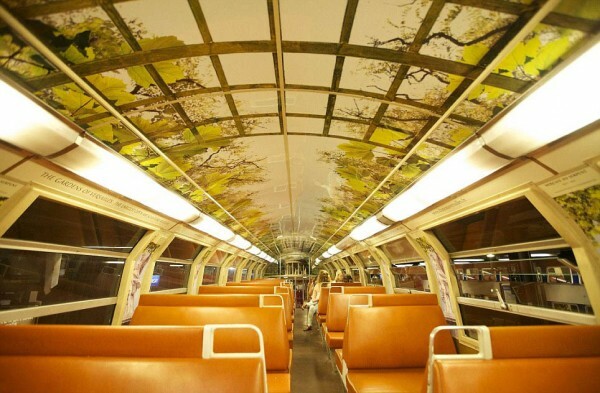 If you’re in Paris, you’ve got to check this out. 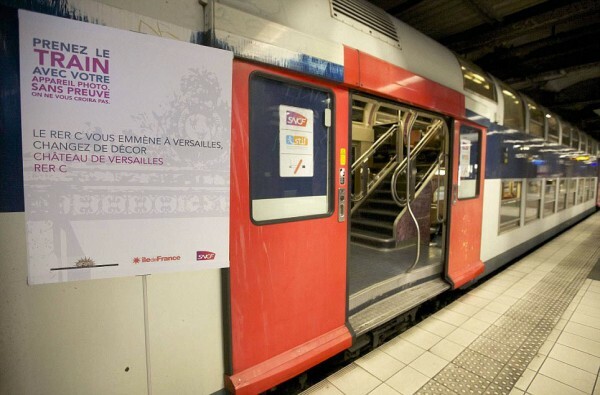 If you happen to be in Paris, definitely go and check it out!